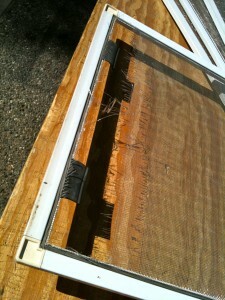 Our special Thousand Oaks window screen repair service is for the holidays and they are hear. It’s time to decorate the house and fix some things along the way like window screens. This is something we get a lot of calls on at this time and It seems that people leave the screens for last, at least until out of town family is coming in. Thousand Oaks Window Screen Repair and window screen is the biggest reason clients call us. We come to you and measure and make screens on the spot and if your frames are old we can replace them with new aluminum frames that will match the finish you currently have and we also will rescreen your existing frames as well. This entry was posted in Thousand Oaks Window Screens and tagged thousand oaks window screens by Marcelo. Bookmark the permalink.